"I believe in creating workplaces that are fair, respectful, and functional." Latika Malkani joined Siegel LeWitter Malkani in 1996, and since then has fought to preserve and enforce the rights of women and men working in a variety of professions. Latika's advocacy has included tireless representation of employees seeking justice and improved conditions in the workplace. Latika has a proven record of successful results, and has helped hundreds of employees establish better working conditions, negotiate severance and post-separation packages, as well as obtain fair and just compensation through enforcement of state and federal laws. Latika believes that no employee should be made to suffer inequality or humiliation in order to earn a living, and she perseveres until her clients win positive changes and adequate relief. Latika has over twelve years of experience litigating in state and federal courts, including practicing in most Bay Area County Superior Courts, the California Courts of Appeal, and the United States District Courts throughout California. She has handled cases from beginning to end, including trial, and has substantial experience enforcing employee rights in a number of substantive areas, including anti-discrimination laws, fraud and misrepresentation, protecting whistleblowers from retaliation, enforcing wage and hour laws, and protecting employees from other unlawful employment practices. Latika also has substantial work experience helping employees navigate and advocate within the many government agencies charged with the important mission of enforcing workers' rights. Prior to joining Siegel LeWitter Malkani, Latika worked at the State of California Department of Fair Employment and Housing (DFEH), Office of General Counsel, in Sacramento. Latika also spent two years as a Senior Policy Analyst with the City and County of San Francisco's Commission on the Status of Women, where she trained and advised senior government executives on how to incorporate principles of gender equity and human rights into everyday decision-making. Latika has also maintained a vigorous labor practice, and represents several labor unions, offering her skilled advice, aggressively litigating in administrative forums, and handling a full array of state and federal litigation. Latika has handled numerous representation and unfair labor practice matters at the California Public Employment Relations Board (PERB), and is a frequent visitor to Regions 20 (San Francisco) and 32 (Oakland) of the National Labor Relations Board (NLRB). Over the years, Latika's persistence has brought success to her clients. For example, Latika represented an employee who was wrongfully fired from his job after complaining about wage and hour violations. He filed suit, and when the employer filed a motion to have his lawsuit dismissed before trial, Latika filed a counter-motion arguing instead that the employer should be found summarily liable, as a matter of law. After reading this motion, the employer initiated settlement discussions, which resulted favorably for the employee. In another matter, a female manager sued her former employer, a large corporation, after it failed to make due on promises it made when recruiting her, and passed her over for a desirable promotion, awarding the position to a less accomplished, younger male. After the case settled to the client's satisfaction, counsel for the employer commented that the diligent and skilled advocacy of Latika and other Siegel LeWitter Malkani attorneys helped the employer understand the need for an adequate settlement. In addition, Latika has penned several appeals, both in California courts and in administrative forums. Her appellate successes include Valencia v. County of Sonoma (2007) 158 Cal.App.4th 644, a published decision establishing that a County Civil Service system, as a sub-unit of the County, was limited by the memorandum of understanding in effect between the County and a labor union. Siding with the union, the Court of Appeals struck down the Civil Service Commission's harsh discipline of the plaintiff, and the union additionally recovered its fees and costs of litigation, including appeal. Latika is an active member of numerous professional organizations, including the Labor and Employment Section of the State Bar of California, the Alameda County Bar Association, the National Lawyers' Guild, and the Lawyers' Coordinating Committee (AFL-CIO). 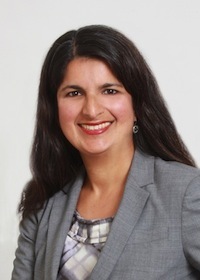 She is a longtime member and past Vice-President of the South Asian Bar Association of Northern California, and co-chairs the Labor and Employment Committee of the North American South Asian Bar Association (NASABA). She is also a delegate to the Conference of California Bar Associations. Latika enjoys lecturing and teaching in the areas of employment law and litigation. For several years, Latika served as volunteer faculty at Stanford Law School's Trial Advocacy Clinic, where she has instructed law students in subjects ranging from effective oral argument to taking winning depositions. Latika has also lectured on "Wrongful Termination", presenting to students enrolled at the Golden Gate University School of Law's Women's Employment Rights Clinic. For many years, Latika was a Supervising Attorney at various employment and labor clinics, where she supervised attorneys and law students in providing legal counsel to clients of the East Bay Community Law Center, the Employment Law Center - Legal Aid Society of San Francisco, and the Asian Law Caucus. Latika has served on the Board of Directors of Narika, an East Bay organization providing skills and aid to women escaping violence, and has also volunteered at the Asian Women's Shelter. Latika is a California native, raised in Sacramento. After graduating from UC Berkeley with her B.A., she spent two years working with Asian Immigrant Women Advocates, an Oakland-based nonprofit organization, organizing with immigrant women workers who were demanding improvements in their workplaces and communities. Following this opportunity, Latika returned to Sacramento for law school, graduating from UOP McGeorge School of Law where she excelled in oral argument and advocacy. She has worked with numerous social justice law firms throughout California, including Public Advocates (San Francisco), the Legal Aid Society of Alameda County, Community Legal Services (Sacramento), and the Legal Aid Foundation of Los Angeles. When she is not at work, Latika enjoys spending time outdoors, exploring the Bay Area with her children.